Bandwidth is a Communications Platform as a Service (CPaaS) company offering a full suite of voice, messaging, and 9-1-1 APIs, all built atop the company's own carrier-grade VoIP network. Businesses use Bandwidth's APIs to easily add calling, texting and 9-1-1 connectivity to software, applications, and internet-connected devices. "My Experience Using Bandwidth for Automating Porting"
I like being able to make corrections to port orders and having instant feedback (for most carriers in most cases). The automated notifications make it easy to know what the status is in real time. This is probably the most streamlined/user friendly porting portal I have used. I also like the advanced search features when ordering new numbers for customers. I like being able to now order CSRs just by making notes in the porting order. I wish we could look at more than 500 DIDs for a customer. We look for certain kinds of numbers that would make for good BTNs and sometimes these numbers seem cherry picked on the first 500 results. It would be nice to be able to see the next 500 DIDs if possible. I wish porting dashboard showed a little more detail at a glance. It would be nice if there were more Porting tracking features explicit for LNP personnel to use. Automatic reminders for when an order hasnt been touched in awhile. Porting statistic breakdowns. I'd like my porting order statistics to be separate from other order types. If I am tracking porting, Id prefer not to have New DID orders lumped in when searching for orders. I would recommend Bandwidth as a solution for any small to medium telecommunications enterprise. I do not see us using any other platform anytime in the near future. Bandwidth tends to listen to its users and we appreciate that. Its probably the level of support you get when problems arise that is most beneficial. I have no complaints, as Bandwidth seems to be making constant improvements all the time. Writing emails takes up too much time. Having Bandwidths automated porting system reduces lengthy emails and keeps me from having to wait on hold on the phone. The customer is probably the most important part. I know that when I put in a trouble ticket for an issue, it will be worked on regardless of if I am in the office or not. Bandwidths ability to work with the losing carrier to solve porting related issues with the losing carrier has proven invaluable. "Great service but mixed results on support." Ticketing responses & response times are very good at Bandwidth. Regardless of your issue or request, the various groups there that work tickets are very responsive. Can't guarantee you will get what you need in the response but the ease of use when opening a ticket & getting a response from their support are in my opinion an 8 out of 10. They do also have a lot of API functionality. And it's a very quick process in my opinion on setting up connections for APIs, testing & moving to production. The lack of consistent & constant updates during a catastrophic outage. Of course the focus should be on resolving the issue but hourly updates when more than one LATA is impacted would be nice. We had to escalate to the highest of levels just to get an RCA after an outage. Their support reps disconnect your call constantly when calling in for support. And there does appear to be a lack of redundancy for the bulk of their service areas, at least for the DFW Data Center. We use Bandwidth in our service areas where it doesn't make financial sense to try to establish costly & lengthy interconnection agreements. We have been able to save quite a significant amount of money by using them to deliver voice services in some areas. "It is easy to order numbers from Bandwidth!" I like ordering new numbers from bandwidth. Their new Pain-Free ordering is really streamlined, and has greatly reduced the number of clicks involved in ordering numbers. Everyone I work with at bandwidth is friendly and professional and willing to help, which is also great! While porting numbers into Bandwidth is usually only tough because many customers do not have the correct info for a port, it seems that it takes quite a long time to get updates on port requests, and the errors presented are almost always incomprehensible by a normal user of the portal. If a port request is rejected, I usually have to call in and speak to a specialist in order to receive the full explanation for why, and in order to get enough information on what is needed. I would appreciate better error responses and more complete explanations of what is needed. I shouldn't have to in-depth interview the support specialist in order to understand the status and next steps of a port request. I do understand that if customers had the correct info to provide, back-and-forth would be greatly reduced. Any way Bandwidth could help the average person better understand the porting process would help get more numbers onto the Bandwidth network faster! 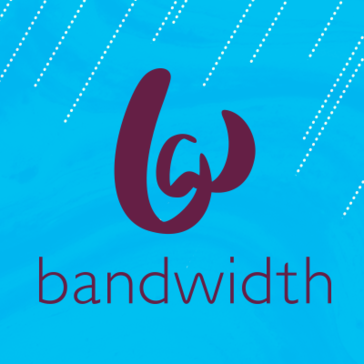 If you're looking for a number ordering portal, Bandwidth is great! Porting numbers is more tough for a non-telephony industry individual, but the friendly support team is there to help. We order all of our DIDs from Bandwidth, and their number ordering portal has improved our Tier 1 support turnaround on number orders. "Great support staff and service"
Bandwidth makes sure you have everything setup properly and will go the extra mile to help you, if you need it. Bandwidth support is amazing and super helpful. They are very quick to respond to any support requests. There really isn't much to dislike about Bandwidth, but if I had to choose 1 thing, then it would be all the paperwork involved, but it is digital signature done, so that helps. If you want a solid service with great support, than Bandwidth is the route you need to go. The cost is very comparable, but they provide great support and an easy to use interface. I would highly recommend to give Bandwidth a try, as you won't be disappointed. My company was looking for a great service, at an affordable cost that we could include with our hosted PBX system. Thanks to Bandwidth, we have that service now. They are very competitive in rates and provide really great quality of service. They also have a very easy to use dashboard interface. "Excellent support, excellent services, very transparent company." We love how easily and quickly we're able to get ahold of support staff at Bandwidth. Everyone is knowledgable, everyone is committed to our joint success. It's very much a partnership rather than a simple vendor-customer relationship. The development APIs are also very easy to work with, with plenty of documentation and testing capability. Their developers really need to do some testing with the Safari browser - Strange portal bugs come out when using Safari. Other than that, their portal works nicely to allow us to conduct normal day-to-day operations with ease. Do it - They'll make your lives easier, especially if you're dealing with downtime or reliability issues with your current carriers. Business continuity and carrier reliability. Bandwidth's service has never faltered for us, and our customers enjoy the consistency of service as well. "Highly skilled, responsive, and motivated for client success"
the Bandwidth team is very communicative, while refraining from empty promises or patronizing behavior. When one member is not best equipped to resolve a problem, they promptly and politely redirect the client to the best suited SME. Turn around time is excellent, especially if you take into account how thoroughly they research and resolve on their side before responding. some of the functionality is a complex, and while the documentation is extensive, it can be a little difficult navigate "new" avenues of implementation. I'm sure this will improve as more clients see the benefits of Bandwidth functionality and expand usage and documentation. Voice Call termination could possibly use some safeguards to prevent runaway calls from running up excessive and uncaught expenses. This functionality may exist and simply need to be researched and implemented. thoroughly explore your implementation, integration with existing tools, and research what implementation tools might integrate with Bandwidth back end functionality. Bandwidth functionality can provide extensive use case coverage. automated testing of IVR solutions for both breadth and volume of load scenarios. Achieving recordings of software-generated voice calls, and transcriptions of these recordings. "Best solution for SIP trunks that I have found"
Excellent support that responds quickly to any concern. I have implemented Bandwidth.com for three sites and have had an amazing experience with each. Telephony is a core capability for any business and when there is a concern I want a competent person at the provider to be attentive to whatever the question or issue may be and bandwidth delivers. Call quality is top notch on calls of any length. I think that some improvement could be made to the logging tools. It would be excellent to be able to see every call made through the service to troubleshoot failed calls which are often the result of improper configuration on the PBX and would allow the administrator to address the problem himself without having to even contact bandwidth's support team. If you are implementing a SIP solution for your business or especially if you are implementing a solution for a client then bandwidth.com is absolutely the right choice. I have a number of clients with multiple offices and remote sales staff. Bandwidth has allowed me to deliver a unified telephony solution to these clients which has greatly simplified their operations and increased productivity. Bandwidth far exceeds our expectations for a SIP trunk provider. I submit a request and it is always handled the same day, sometimes within the hour. With our other providers it's submit an email and wait, sometimes days. We never have issues with Bandwidth that require technical support but their provisioning team outshines them all and have won me over. I now use Bandwidth for all of our new customer needs. There is nothing to dislike, they're great! We are a telephony provider so we rely on companies like Bandwidth to always have a working SIP trunk in our platforms. With Bandwidth there is never a worry and we attribute our 99.9% uptime to them. "An excellent vendor to partner with." Bandwidth provides a premium quality of service; the degree of high-quality, consistent voice connections they transit to our communications services stand out as among the best for voice carriers today. As such, they are a trusted partner. They go beyond with the quality of support provided by their agents, the timeliness of responses, and the diligence we see their agents putting in to validate issues and ensure that their service is always of high fidelity. Bandwidth's post-customer support survey employs an odd color scheme and appears to have a severe threshold for their support agents. I would want their agents to have the freedom to provide the quality of support that represents their pride in their organization, rather than the fear of a poor customer survey hovering over them. If you need a trusted partner for connecting customers to your communication platform by voice, absolutely talk with Bandwidth and consider the impact a highly-reliable platform and support partner will contribute to your organization. Our clients connect via Bandwidth to our Unified Communications services. Bandwidth's high-quality services mean customers connecting to our service via Bandwidth have a consistently-good voice experience. With a less-reliable partner network, our clients will suspect that we are the source of the poor service, so the reliability of Bandwidth directly informs the customer experience of users with our service. *if you are ordering Bulk order is better to make it through the API, other than waiting for the maintenance window which seems to be once a week. *LNP process will stop if the FOC date is wrong and won't be auto adjusted by the portal. "Bandwidth is the best of the best! " The cost and quality of service is amazing. The customer service is very responsive and professional. Also, the web interface is extremely user friendly. There text messaging service needs a minimum of $1000 of texting customers to begin to be able to offer the service. The issue is that I can't begin to offer the service to my customers because you need to have the $1000 of texting business before you explain to your customers what this service is. Doesn't make sense to me. Do not hesitate to make the switch Bandwidth. One of the best if not the best decision I have made for my business. After losing service regularly with my previous carrier, I am now able work without that constant fear. Every carrier has an occasional service impairment but the difference is how often. Simplicity, transparency and quick support, our relationship with Bandwidth goes back to 2005, when our business has just started, since then we were building a company that has an outstanding customer support around the globe and mainly in US thanks to, Bandwidth solutions! There is nothing to dislike about Bandwidth, everything is top notch. We have been using their services for a long time and never we had any issues with them. Availability of US numbers, guidance, business development to ways we would never imagine back in 2005. I have been personalty working with BandWidth for the last four years. I port several number every week and they are very helpful. I have had problems with my phone server and they drop everything and run tests to find the problem. It is nice having a sales man assigned to our company. He has gone over board to help me. They really need some help designing their call flow. It is really frustrating when you call in for help and their system gives you the run around. And then sends you to an voice mail that you rarely get a call back from. I have talked to a lot of companies and none of them even compare to BandWidth. If I had to start all over I would still use BandWidth. I am able to add a new client, they help port the numbers, help update caller ID, and help get them into directories. It took a long time to get on the web portal. For some reason I was not aware that I would be able to management my SIP trunks myself until I mentioned I was a little frustrated that I had to put a ticket in for simple changes. I was using the portal a few days later. We have multiple SIP servers and the Bandwidth SIP Trunks we have allow us to use them in aggregate without assigning each trunk to a server. So when on server is getting more than tother we don't have to do anything, the trunks just work. We've been a Bandwidth wholesale customer and user for over 10 years. The coverage, reliability and support is great. More importantly, we've been happy that Bandwidth is constantly improving and investing into building out better tools (portals, APIs, etc) to help automate or improve things. This is something we see a lack of with competitors (most competitors provide only barebones tools). Bandwidth has also been flexible and accommodating in terms of working with us as needs change. I really don't have any issues with Bandwidth itself. Sometimes policies change or things come up with that I'm happy with, but those are mostly related to the industry as a whole or compliance so they're not really entirely in Bandwidth's control. When they do come up though, Bandwidth always works with us to try to find a solution that everyone is happy with. No company will be perfect so I judge companies based on how they resolve them. Bandwidth gives us access to a very large wholesale footprint so that we're able to offer VoIP service nationwide from a single source. Kerry is fantastic to work with! We have had a few escalations and Kerry has been willing to work with us on each of them to resolve them. Porting in general is the worst but with Bandwidth it is a little easier and alot less time consuming! For example, I requested a port on Monday and within an hour I had FOC for the 10th! That is one week and one hour I had an answer for my customer! We could use more training on the new ordering portal. When we have an issue it is a little hard to get in touch with the porting team over the phone. I understand the need to work through emails and call backs when you have a fire there is a direct need for voice to voice. Ordering numbers are instant! Our customers are very high demand and want things now, with Bandwidth that is possible! The Bandwidth staff is an amazing group that consistently supports our Company in many ways. In regards to porting, service, and updates, there is NO better company than Bandwidth! Off net porting occasionally has to be updated by ticket or phone call instead of an automatic update like on net ports. Definitely go with Bandwidth! I have used several different carriers to port & buy new DIDs. Bandwidth outranks them all! Due to the helpful, amazing staff at Bandwidth we try to locate new numbers through them & port only through them whenever possible. Which is 99% of the time. Everyone I interact with at Bandwidth is friendly. All representatives that are assigned to our account are on the ball and help us with any questions we have. They have sent account managers to us to visit, as well as allowed some of our team to visit their office. Their APIs are easy to integrate with and their portal is easy to navigate. We can pull most any kind of report we wish and if there isn't a way for us to get it in the portal, all we need to do is ask our account manager and he gets us what we need. It's also nice that they show the carrier of a telephone number when you are submitting a port request. It is too easy to port numbers away from Bandwidth.com as they are a wholesaler and do not keep End User information. So anyone can submit a port using any company name and address and it is released. Porting numbers is a pain, but Bandwidth.com assigned us a porting representative that works all our orders. This makes communication easy and direct. We also have a customer advocate manager assigned to our account that helps us with anything outside the porting realm. If he can't answer a question, he always finds someone who can. Most issues we had in the past have been taken care of through direct communication. Bandwidths uptime and transparency into operations has been clutch in our continues use of their voice and sms services. Support is always responsive and always helpful. The portal could be more responsive. Being unable to open links or DID's in another tab make it difficult to mass manipulate items using programs like MouseRecorder. Using multiple locations has been problematic and forced us to include all DID's into one location. 911 fee's and setup was a challenge. Pay attention to those details. We sue bandwidth for all of our voice traffic and sms integration with our hosted PBX solution CloudWorx. "Bandwidth Porting Dashboard and Support Review"
When I call in the employees are very friendly and always do their best to help. We recently had a problem when supplementing a port, the request date would change to first available instead of the date we requested. This caused our customer's to have some outages and made us have to scramble to "snap back" the numbers. Support Team is very helpful and the Dashboard Tool is very easy to use. Bandwidth often assists us in obtaining CSR's for customer's when we are unable to get them. They also make ports go very well. "My experience with Bandwidth has improved greatly with our new manager Matt Pols." Improved relations with BW employees has helped greatly by knowing our product/services we provide for our customers. As we are a VRS provider, it has benefited us having BW understand how we operate and serve our customers. The new dashboard had a bumpy start, but new features similar to the old dashboard are now available and more robust. We experienced some issues with numbers being lost or not reported as ported out, but this has improved significantly. Working through several manager changes was difficult, but I believe we are in a good place with Matt Pols. All of his hard work and attentiveness is much appreciated. Ensure they provide a good line of communication with your Customer Success Advocate. As discussed above, we had difficulties with the new platform not providing the same reporting tools, but this has since been added. However, Bandwidth was diligent in providing this info when it was not available to us. We also had to address many lost/ported out numbers during the migration, but I believe this was something that needed to be tackled and we may not have known the extent of this issue if it had not been for the migration. Having one dedicated Customer Success Advocate has helped communication and we have recently been assigned Hannah Rogers to assist with LNP services, both of which are a huge benefit for us. Thank you! "Bandwidth is an amazing company to partner with." The team at Bandwidth provide exceptional customer service. Their top-notch team is always willing to assist with any needs we have. They bring the knowledge of their industry to every issue which makes to easier for my team to do our best work. No dislikes! This is a truly exceptional company with a great support team. We manage a lot of port requests. The difficulties of the porting process can be bothersome for our customers. The Bandwidth team provides their expert knowledge of the process to simplify this task for us. "Awesome service and great support!" They are very responsive and very helpful. They always have a great attitude and very friendly. Support is very knowledgable. We use a variety of services form DID (TN) assignments, to e911 services. Its very easy to use and the support portal great! So far I have not had any issues. I have always been able to find documentation or receive a quick response from tickets I have opened. Give it a try. You will be happy with their service. They provide a reliable connection for our subscribers. They make it simple and are very helpful. Their documentation is always to helpful. The services that are provided are excellent. The have made easier to work with. "Excellent Sip Trunking Cannot Say Enough Good Things About Bandwidth!" I have been using bandwidth.com for 9 years now and in that time they have only had 1 network service interruption. Highly reliable trunks with excellent flexibility for communications array load balancing. Endpoints are easily modified through their portal and interface is easy to use. Easily upgrade Legacy PBX systems with Bandwidth.com using FXS/FXO converts . CAS Communications Array Servers of any flavor easily connect to Bandwidth.com or You can also forward directly from Bandwidth's portal to POT lines if necessary. I would like give my thanks to Kate and team for being patient with the 1000 request I make each year. You guys are the best! Our Schools have been very satisfied with the Bandwidth's service and performance I would not consider going anywhere else for Sip Trunks. Also Tier2 guys shout out for your support as well! DID Availability in certain area codes are very limited. I sometimes need to manually re-provision DID endpoint because of DNS issues. Purchasing of additional DID are mot possible through portal. Provide endpoint communications for 170 franchise locations and multiple routes for marketing projects. All locations interconnect and have a central office exchange. Easily upgrade Legacy PBX systems with Bandwidth.com using FXS/FXO converts . Communications Array Servers of any configuration easily connects to Bandwidth.com or You can also forward directly from Bandwidth's portal to regular phones lines if necessary . Price is right for bandwidth, plus they have a ton of options. They are also pretty flexible with the options and while the process for calling into their support used to be weird, it's now a lot more streamlined. The call quality can be tricky at times. Even when we upgraded our internet sped to fiber, our SIP Trunk was still not the greatest call quality. The company is growing and innovating. I know it's a whole production, but they will generally be worth it in the long run. We have a staff of 15 people, all on-premise. The Bandwidth systems allow seamless communications for everyone. Everyone I have worked with at Bandwidth has been very personable, friendly, and helpful. We recently visited their office and the CEO took us on a tour of the building. Our account manager is super responsive and always ensures we receive the answers we need. Just like with any interface, there are some issues with the Bandwidth Dashboard. The porting portal notes and comments section is broken up so you have to look at order history and notes separately. Bandwidth is very innovative. They are constantly improving their products and portal. We are a phone service provider and instead of having to have relationships with every other carrier to do number porting, we use Bandwidth. We port and activate numbers through their services. Timely service and quick responses to our tickets. Fast and thorough handling and resolution too. Our Account Manager, Lee Hull, takes our concerns and our requests for assistance and manages them with the kind of care and professionalism that makes Marchex feel like a valued client and not just an end user, like at a lot of other large telcos do. There's nothing to dislike! Bandwidth's services and support continue to improve. Bandwidth helps me to solve the problem of long response times for trouble ticket updates and resolution. The Bandwidth NOC is fast and thorough and I always know that my troubles will be investigated and resolved in a timely fashion and I can provide regular updates to my clients. "Fast, reliable, and great service!" I love that I"m able to order new numbers through the dashboard and move things around as needed without having to wait on a service order as I did with another provider. The only thing I dislike is Bandwidth isn't in more rural markets. I primarily operate in rural areas and sometimes it's difficult offering services where Bandwidth doesn't have a presence. Much lower rates on our Long Distance, Toll Free, and the ability to get nation wide numbers. 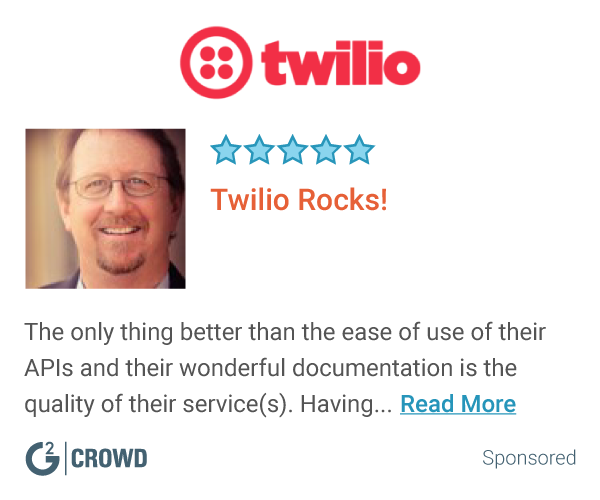 "Good, but very wild-west with holes in developer help." I enjoy that Bandwidth cares, even in their bureaucracy. They have put time and effort into onboarding us and are very communicative. They certainly support a broader feature set on individual lines than their competitors and seem to be moving to add more. This makes them very flexible. Development is hard and lonely. Their documentation severely limits understanding of core concepts on their platform, and there is no community to build on each other. This is not helped by their generic name, meaning searching for help is impossible. I would like to see forums or better example code for the customer side of different use cases. You also can't seem to do an IVR in their REST API, which is somewhat sad. We still rely on FreeSWITCH to handle that. Make sure you have the time to test and develop against their services. Their documentation leaves a lot of explanation out and you will have to divine a bit on how to accomplish some things. We are hosting the equivalent of someone's cell phone capabilities. Bandwidth is so far the only one that seems to care much about MMS and Group Texting, so this is a huge plus (the latter is coming, not yet available). But their willingness to have customer service that seems to care really adds to their offering. We are excited to see the features they've been talking about releasing and will be integrating those as we can or need. "Great text API and support"
Speed of the API, pricing and support have all been great. Very happy with the API in general. They have also been good to listen and work with us in terms of discussions about the 1 message per second sending limit. The documentation and portal also work well and the API is logically laid out. When I have had questions on the API support was very helpful. Phone number availability in some areas is limited but bandwidth has ordered phone numbers for us when needed which has been good. Very happy with Bandwidth at this point in all areas including performance, pricing and support. We have implemented a number of our texting features in our church management software such as text-to-give and text-to-register using bandwidth.com's API and have been very happy with it! The performance and reliability has been great as well as their support. Churches have loved the giving via texting as well as registering for events. We are even planning to add child check-in via texting since the other applications we have created have been so well received. "Bandwidth - solid company; solid network; solid support and personnel"
One thing - the network. We have really not encountered any major network outages. Small, little stuff (who doesn't have that) but large network issues are non existent. I also like the way that they attack issues that they may have. When I am involved, it is normally an escalation but I find there is no need for me to hold my breath and stamp my feet to get issues solved. The team jumps in and figure out what is wrong. Bandwidth's TAC Team should teach all the other carriers how to respond to customer issues. They not only get the solved quickly, they also keep you very, very informed as to what they are doing. I can't say much that I don't like. We did hit a rough patch with porting and provisioning but that got resolved pretty quickly in my mind. I seen other carriers struggle to get issues resolved or worse, they don't care to get issues solved. These guys care about your business. You will find these guys are one of the last "Human" touch kind of companies. You can do an immense amount of business successfully with Bandwidth online and never speak with anyone. However, when you do need something, humans actually reach out to you and work with you until the issue is resolved. Phone calls instead of emails which is nice when we are working on a pesky escalation. We use Bandwidth for inbound calling and 911 call completion. We have seen their quality go up and their pricing get more aggressive which is the way it should be in this industry. "I don't know what I would do without Bandwidth by my side!" Every Bandwidth team member that I have ever worked with has been exceptionally pleasant! In the rare cases that I need support beyond the expertise of the individual I am working with, they are sure to connect me to someone that can help me and follow up to ensure my needs have been met. You DO NOT get that personal attention from any other, than Bandwidth! Not too much to say here. I was a customer that had originally worked on their legacy platform. Though their new portal is great, there are features I wish they would have incorporated from the DASHboard. I just don't easily accept change, more so a personal issue than a dislike to Bandwidth. Bandwidth has competitive pricing in comparison to other companies with similar offerings. The only difference, other companies "You get what you pay for". Not Bandwidth! They exceed any and all expectations I could have imagined! You will not regret working with Bandwidth and the wonderful team members employed there; you become part of the family! I work for a true ILEC/CLEC/ITSP. We have our own numbering resources, I can personally port from 60+ providers within their proprietary systems, BUT... because of Bandwidth we have the capability to sell and service outside of our direct footprint. It is awesome, our customers LOVE it! Nothing off the top of my head. If I come up w/anything i'll be sure to respond back. Telecom in General. Most carriers (not all) are slow to respond w/any real/relative data. Bandwidth always responds and if they don't have the data at hand they either get it or assist in getting it. Bandwidth customer service reps are very friendly and professional. It's always a pleasure working with Kerry Skinner along with her peers try to give the best possible customer service when calling into support. Kerry always goes above and beyond the call of duty. If she's unable to help she will get you connected to the right party. Our company will continue to use Bandwidth along with their great portal enhancements. The callback feature when calling into support is great. Reps actually return calls sooner than later. The New Portal for ordering numbers is much easier. It allows you to better view the different rate centers a NPA may fall under. When ordering new numbers. You are allow to see numbers ahead of time for selection. It also, has the capability of ordering some vanity numbers. The Bandwidth Portal has a tendency of not working correctly but that comes with implementing new features witch is to be expected until the bugs are worked out. For example " The FOC Date on manual ports don't always update correctly. Would love to see reps check to see if rejected information is already attached to the orders to avoid processing delays. Bandwidth provides excellent customer service for the Porting Industry. They have a complex yet simple to use portal that keeps customers informed. We use Bandwidth services for Porting and provisioning purposes. Also, providing any additional features our customer may need. .
"Bandwidth is friendly and easy to work with"
The customer service team is friendly and very helpful. They are very responsive to my support tickets. I can call them up and ask any type of question and they are more than willing to help me out. I have not had any issues with any customer service rep. Chelsea is one customer service rep that I recommend. She helped me on multiple occasions and was very helpful and friendly. I dislike there automated message for when there is a hold time. A previous time the automated system stated there was a 30 second hold time but I waited for 5 minutes before I hung up. This happened about a month or so ago but hasn't happened since. That is the only thing I dislike about Bandwidth. Bandwidth is great to work with and the portal is easy. They are just a phone call away and will answer any questions you might have. Porting escalations and trouble issues. They are very helpful when I need to escalate a port and they always provide an update on my tickets in a timely manner. They are very helpful when I call them and always have resolved my issues. "Exceptional Service and Customer Service"
The personable employees. When you call you get a live person who is ready and able to assist you. Everyone is always respectful and courteous towards you. If you can't reach someone via phone you're able to open a ticket and it's worked quickly not left on a back burner. You get the feeling that your issue is important. Everyone is considerate, ready and able to assist you when you call in. We have been very pleased with communication and service. Each tech is ready to assist you and to quickly resolve your issue. They have a large footprint that enables you to provide VOIP across the country. The support team is very knowledgeable and quickly addresses your ticket and/or call to help resolve the issue. Hosting, porting and sourcing numbers are issues that have been solved. One main benefit of LNP orders in to be able to set port-in activation times with a defined window. "The people at Bandwidth are awesome!" I like the friendliness of the employees at Bandwidth. Whenever I call in they are always friendly and willing to go above and beyond to assist. They are very knowledgeable and helpful! Sometimes we don't receive updates on ports as often as we would like. We are working on receiving updates within SLA for our ports. Bandwidth is always open to suggestions and working on improving any of their processes. "Top Tier in its class"
Their portal is my favorite to use as it is incredibly user friendly. Customer service is also super helpful and quick to respond. Not much to dislike. The product is great and the people behind it are even better. Fantastic service and ease of use are the greatest benefits of using Bandwidth. We have a few different platforms that are on Bandwidth so moving inventory is quick. Porting numbers is a painful process, but Bandwidth makes it easy and provides thorough information. Provisioning is also a breeze and has been implemented into our API as well for even greater ease of use. The helpfulness of support team when I'm porting numbers in. I've had issues while porting numbers, where the number does not get activated until almost 1 hour of the scheduled activation time. Porting numbers for our customers that have phone numbers witht other companies and are migrating to us. The Bandwidth interface is top notch, and the support staff is really good helping out when issues arise. Bandwidth has provided an extremely reliable service with no discernible outages during the last 4 years of use. Call connect time is extremely rapid and voice quality is always superb. Their support team is always fast and responsive for any issues we've encountered using their management system. Their dev team is receptive to requests for new functionality in their new portal. Their new portal does lack some functionality, but as it's still a beta product we can't really ding them for that. Sometimes port requests do stagnate but contacting their support team will get the ball rolling again quickly. If you have enough usage to justify the minimum spend with Bandwidth, I highly recommend their services. In the last four years we've had absolutely stellar service. We utilize Bandwidth for our hosted PBX services - they have reduced our monthly telco costs compared to our previous vendors and have provided a highly reliable service. They offer redundant termination and origination points unlike a lot of small scale vendors, which is essentially mandatory for any sort of professional service. Moving our PBX services to Bandwidth.com changed our service from one that experienced outages every few months due to upstream telco issues into one that's able to offer five nines reliability, all the while reducing our overhead costs. I love how responsive Bandwidth support team can be to submitted requests. Issue are handled quickly, courteously and professionally. The only thing I have issues with are with certain types of reports, they use Jargon our team often does not understand requiring a bit more back and forth that necessary. We generally reach out to Bandwidth for SMS failures (inbound and outbound), Call failures and routing issues. For my company, Bandwidth is a great telecom provider. Their portal makes it easy to search and order numbers. Their support team is great for porting numbers as well. Porting numbers can be a hassle, but that is not Bandwidth's fault. It is the nature of the game. We are working with a great telecom partner who really cares about their customers and their experience. "Great product, great customer service"
They offer a great product, with great support, and a very reasonable price. Their support after hours and on the weekend is minimal. This has caused issues for us on a few different occasions. Any difficulty we've had working with Bandiwdth are far worse with any other carriers. The only problems I have run into is a lack of support after hours/during the weekend. Bandwith works with us to complete our orders with accuracy. If something is off, they waste no time helping us obtain the correct information. They fight rejections for us by disputing or escalating to speed things along. I am completely satisfied with the services I receive at Bandwith. There was an issue we had where we had a surge in orders, Bandwith had a surge as well. The Guys in the LNP group worked with us to find a solution that benefited us all and things are smooth. They will go out of their way to please. "Overall Order Processing & Acct Support"
My activity with BW is porting telephone numbers, uploading e911 records and escalations for my internal team along with basic tech support functions. Response time overall on tickets is great. Follow up surrounding number porting rejections and manual order processing is good. Calls to the LNP team have a very short, if any 'wait' time in queue. Number porting: Sometimes it doesn't seem like the 'processing' team goes outside of the box. IE: working to resolve a port rejection (multiple submission) or to obtain a customer service record. Number Porting: Flexibility in choosing port dates and activation time. The employees at Bandwidth go above and beyond every single day even when things are tedious or tricky. I can always count on them to deliver. They make sure to let you know if they are experiencing any delays, issues or if they are short staffed. However, they always seem to pull someone from another team to help aid if they are short staffed. It is really nice to know and feel like they truly are trying everything they can to help your company suceed and be there for you and supportive while not making you feel annoying. Currently, I am happy with everything. I do wish certain teams were more available in terms of days of the week however, I understand why they are not. We are able to spend more time with our members/customers while they take care of the more nitty gritty for us. It makes our customers happy to have so much interaction with them! The online portal. We use this portal on a dally basis to submit port requests, purchase numbers, and make other configuration adjustments. If I had to pin point one item it would be the challenge of getting FOC from specific carriers for port requests. a more cost efficient solution for clients. Ease of access and support. The support is good they generally respond right away, can create tickets with web portal or call in to support and have always had good results, if the person I'm on phone with doesn't know the answer they find someone right away to help. When support does not respond promptly especially when we have outages happening. Easy to work with, have redundant paths in place we have packet loss at times which as you all know isn't good but having a second path allows us to quickly point it to the other path. Bandwidth team members always go above and beyond to answer my questions, explain in detail, and resolve issues quickly. They are very personable and friendly, they make porting less stressful. I don't like how easy it is to port numbers away from Jive, we have been working with Bandwidth to come up with a solution to better protect our customer's number from being ported away unauthorized. Bandwidth.com is user friendly, has great customer support, out of all of the companies we use Bandwidth is my favorite by far! Jive has been able to improve our processes, lower porting time, and have seen less rejections throughout the porting process with Bandwidths's help. They have amazing customer service, and response time which helps solve a lot of our urgent issues quickly. * We monitor all Bandwidth reviews to prevent fraudulent reviews and keep review quality high. We do not post reviews by company employees or direct competitors. Validated reviews require the user to submit a screenshot of the product containing their user ID, in order to verify a user is an actual user of the product. Hi there! Are you looking to implement a solution like Bandwidth?